Please select a Size to view availability. The Nucleon KR-2 is a premium adventure touring back protector that is CE certified Level 2 to the latest back protector standard revision (EN1621-2:2014). Extremely lightweight, highly breathable and incorporating reinforced protection this back protector is optimized for comfort on longer journeys. An innovative fusion of energy absorbing viscoelastic memory foam with articulated vertebrae protection. The Nucleon KR-2, a flexible and ergonomically profiled back protector made for performance. Very comfortable and the waist band is easy to adjust. Have used it just for short rides but deffenitly will recommend it to my friends. I have had this back protector for about a couple weeks. I haven't been able to ride to much but have commuted to work a couple days wearing this. My commute is about 90 miles total and i can say that after a little riding the protector molded to my back and i didn't even notice it. I wore both my larger winter Jacket and my summer lightweight smaller jacket and it fit underneath both fine. I cant say to much about airflow because i have been riding it colder weather but with the comfort and honeycomb features i can see how you will get great airflow and not sweat a ton wearing this. Overall a great product and hopefully i will never have to see how well it protects my back. Since buying this protector I crashed in a dog-leg at my local track. While I did break some bones (collarbone & ribs) my back remained protected. 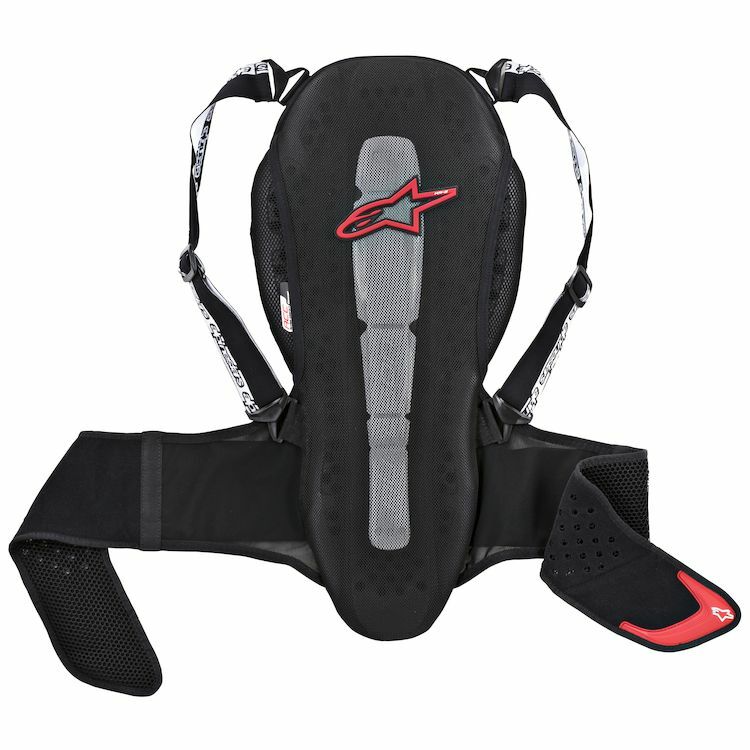 I got the Alpinestars Nucleon KR-2 Adventure Back Protector in case of a crash. Love Alpinestars products, great quality. Wanted a back protector that i could wear with any jacket. Modular connectivity (attachable chest protector). Purposeful design within Nucleon range (KR-2 for Touring/ADV). CE certs. Price. Is this compatible with any neck braces? Looking at the Leatt GPX Trail, does not look like they will fit together. Is this product compatible with any neck braces? Looking at the Leatt GPX Trail, it does not look like they will fit together. Do all the Alpinestars back protectors have the button snap to allow me to snap it into my Alpinestars Motegi one piece suit?